Following lunch, continue to the Mori Art Museum, a contemporary art museum founded by real estate developer Minoru Mori. The museum is located on the 52nd and 53rd floors of the Mori Tower, offering spectacular views from the panoramic observation deck. After lunch, visit Koishikawa Kōraku-en Garden, one of Tokyo’s oldest Japanese gardens. 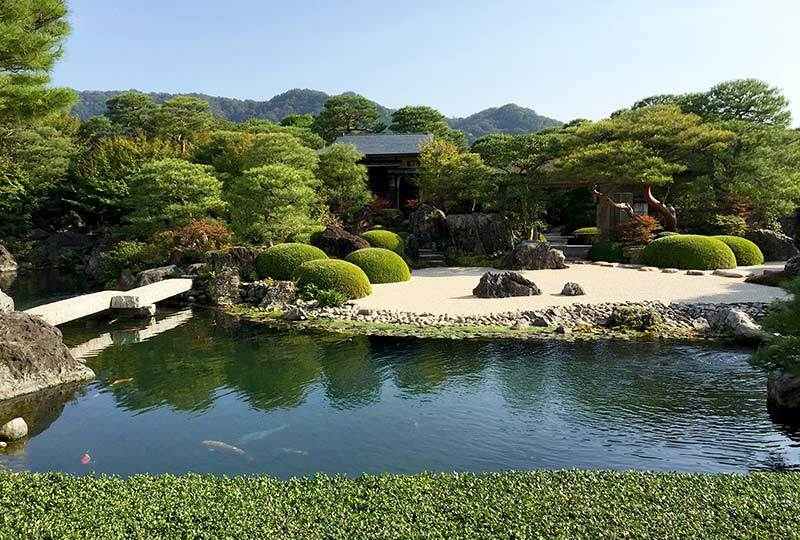 This beautiful Japanese landscape garden represents famous Japanese and Chinese scenes in miniature, dating from the early Edo period. 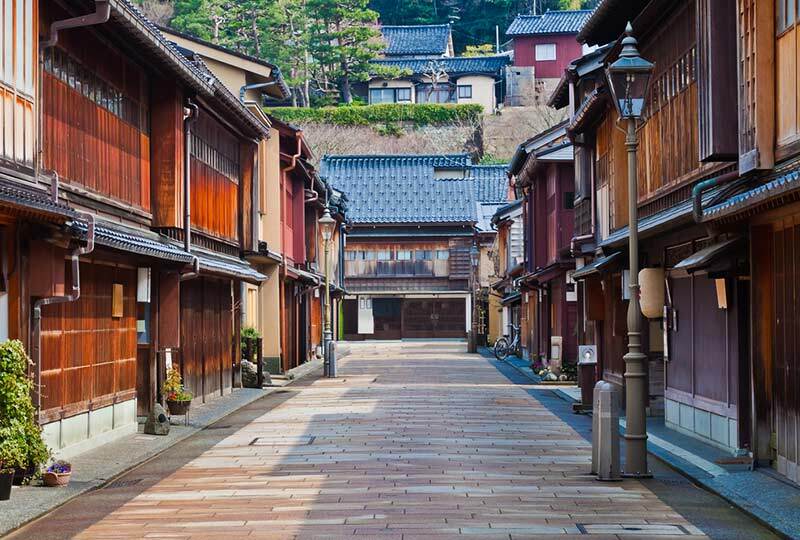 On arrival, enjoy a walking tour of Takayama’s beautifully preserved old town. Many of the buildings and streets date back to the Edo period, with some open to visit, providing a glimpse behind the façade into the former living quarters of local merchants. 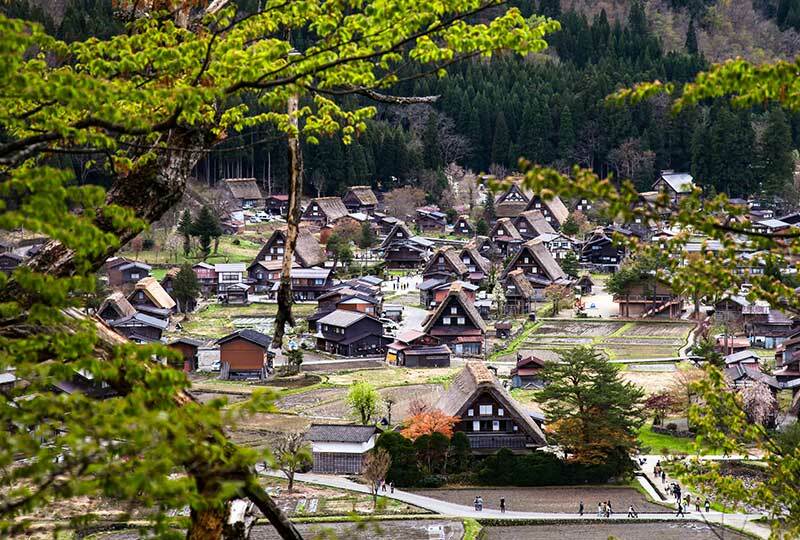 Travel to the mountainous region of Shokawa Valley and discover the traditional town of Shirakawa-go, much celebrated for its historic Minka houses. Remote and isolated from the rest of the world for hundreds of years, the region developed a specific architectural style with exceptionally strong thatched roofs houses to support the weight of snowfalls. 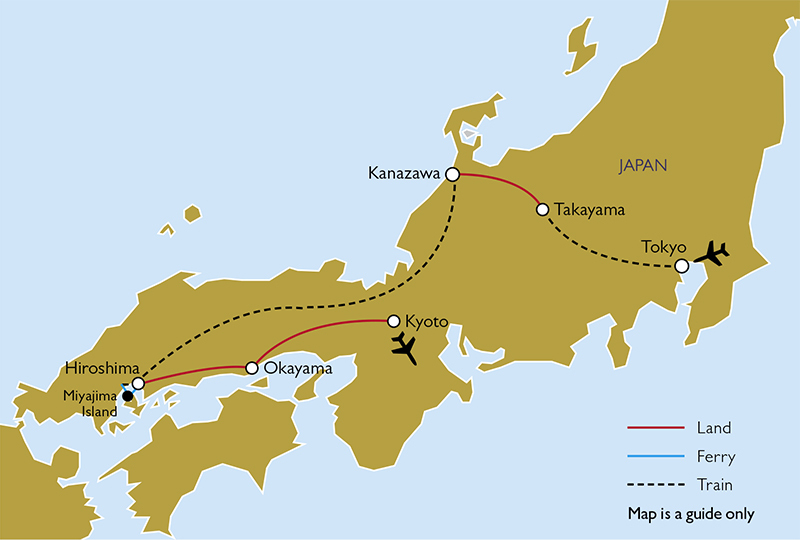 Return to Takayama and enjoy an afternoon at leisure to further explore the city. The remainder of the afternoon and the evening are at leisure to continue your exploration of Kanazawa at your own pace. 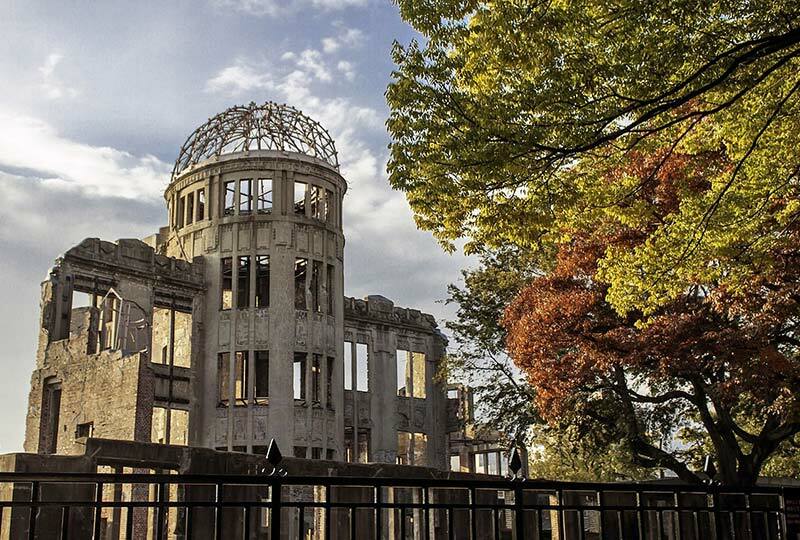 On arrival in Hiroshima, visit the Peace Memorial Park, created in memory of 06 August 1945 when the first atomic bomb in history was dropped on Hiroshima. Amongst the many memorials and museums in Peace Park are the Peace Memorial Museum, which surveys the history of Hiroshima and the advent of the atomic bomb, and the A-Bomb Dome, all that remains of the former Prefectural Industrial Promotion Hall, one of the few buildings to remain standing. Enjoy some free time in the afternoon, followed by dinner at a local restaurant. 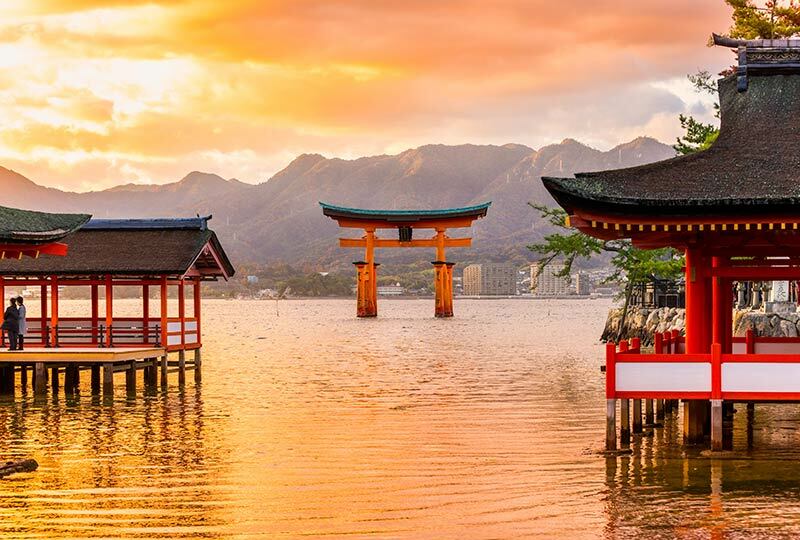 Today, journey by train and ferry to the island of Itsukushima, popularly known as Miyajima (or ‘Shrine Island’). Itsukushima is perhaps most famous for the Itsukushima Shrine, established during Empress Suiko’s reign and today a UNESCO World Heritage-listed site. The shrine and its torii – the traditional Japanese gate found at the entrance or within Shinto shrines – are designed to withstand the Seto Inland Sea’s strong tides. Return to Hiroshima by ferry in the late afternoon. Continue to the small city of Takahashi located in the mountains to the north of Okayama, for a visit to the Raikyu-ji Temple, a Zen temple of the Rinzai sect that dates back to 1504. The beautifully constructed garden within the temple grounds is a Penglai Zen ‘dry garden’ constructed by Kobori Enshu, one of the founders of the Japanese tea ceremony, who is renowned for his architecture, garden design, calligraphy and poetry. Arrive at Okayama and check in to the hotel. Enjoy dinner at a local restaurant. Then, continue to Okayama Castle. 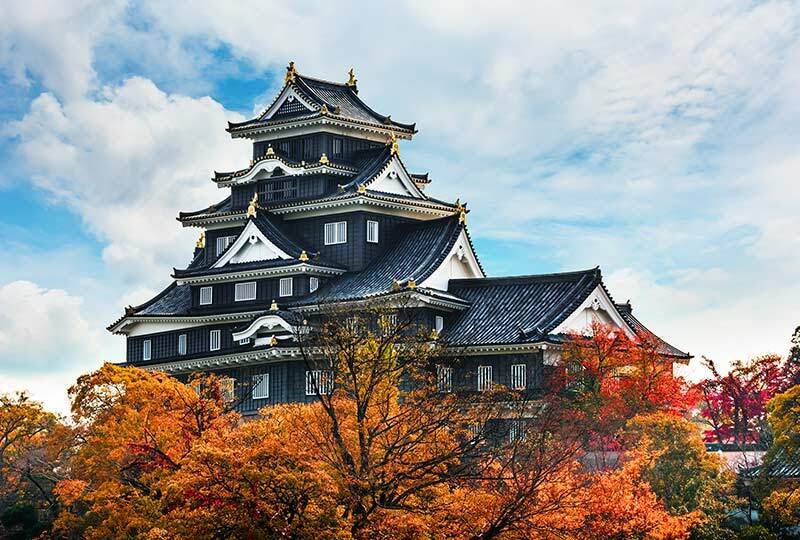 Also known as ‘crow castle’ due to its black exterior, Okayama Castle was built in 1597 in the style of the Azuchi-Momoyama period. The original castle was destroyed in the last year of World War II, but a reconstruction was made in 1966. Enjoy an afternoon at leisure to further explore the city. 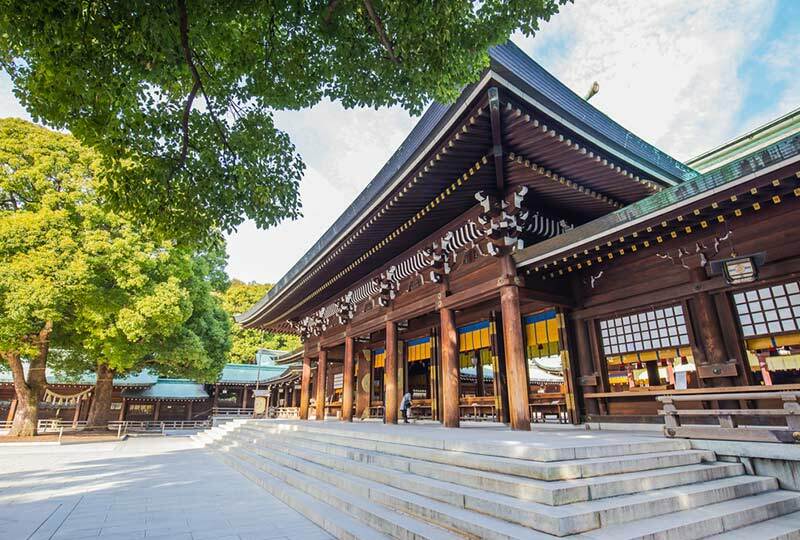 Discover the Arashiyama-Sagano area situated on the western outskirts of Kyoto. The area is known for its scenic beauty, narrow streets, old villas and temple compounds. Walk through the area’s vast bamboo groves before dinner at a local restaurant. 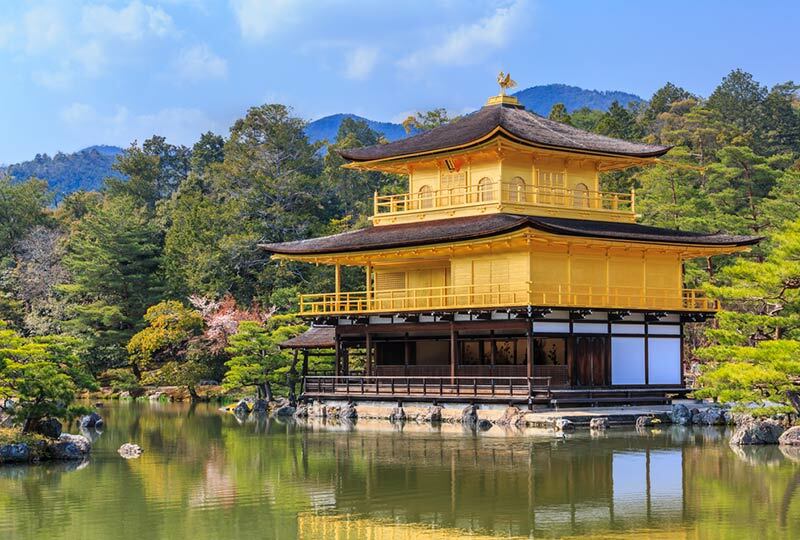 Continue to the nearby Kinkaku-ji (Golden Pavilion) whose top two floors are completely covered in gold leaf. Built in 1397 as a villa for Shōgun Ashikaga Yoshimitsu, it has burned down numerous times throughout its history including twice during the Ōnin War, a civil war that destroyed much of Kyoto. It burned down once again in 1950, when it was set on fire by a fanatic monk. The present structure was rebuilt in 1955. In the afternoon, explore Ginkaku-ji (Silver Pavilion), a Zen temple at the foot of Kyoto’s eastern mountains. In 1482, Shōgun Ashikaga Yoshimasa built his retirement villa on the grounds of today’s temple, modelling it after Kinkaku-ji (which we visited yesterday). The villa was converted into a Zen temple after Yoshimasa’s death in 1490. Stroll along the Philosophers’ Path which follows a quiet tree-lined canal connecting Ginkaku-ji to the extensive buildings and grounds of one of the world’s largest Zen temples, Nanzen-ji. 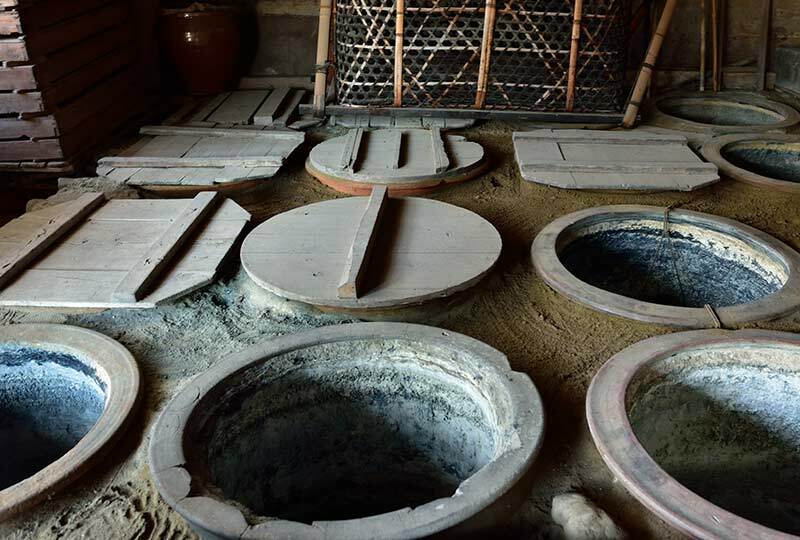 Continue to an indigo-dying workshop and discover the fascinating secrets of this valuable blue dye and the techniques used for centuries in Japanese textiles and handicrafts. 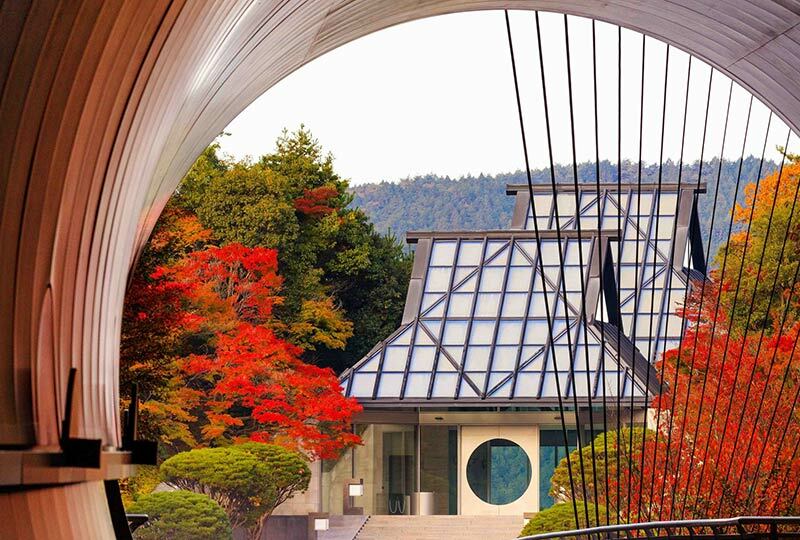 Today, spend the day at the fascinating Miho Museum nestled among the verdant Shigaraki Mountains. The museum houses the Shumei Family Collection of rare treasures from the ancient world and traditional Japanese art. This evening, celebrate the conclusion of the tour with a special farewell dinner with Genevieve and fellow travellers. 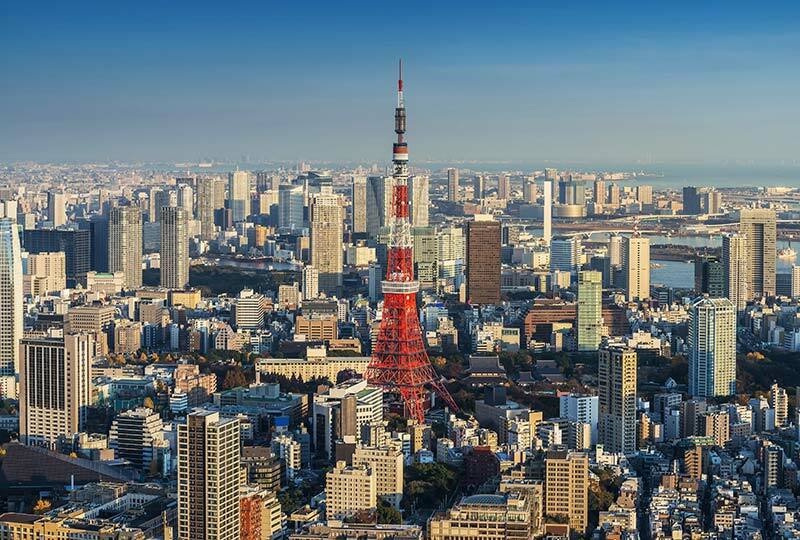 Australian and New Zealand passport holders do not require a visa to visit Japan.